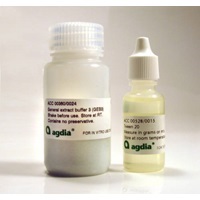 The powder form of GEB3 sample extract buffer provides a long shelf life and stable product. Prepare GEB3 solution by mixing the powder with distilled water and Tween 20. GEB3 sample buffer is now recommended for several assays including AMV, AnFBV, ARMV, BBWV1,2, GFLV, NeRNV, PDV, and ToRSV . 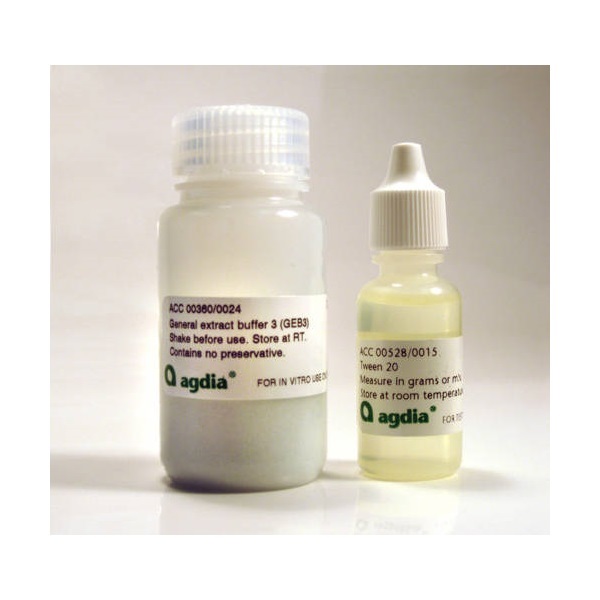 This buffer provides optimal conditions for ELISA test performance while keeping background low in a wide range of plant matrices.